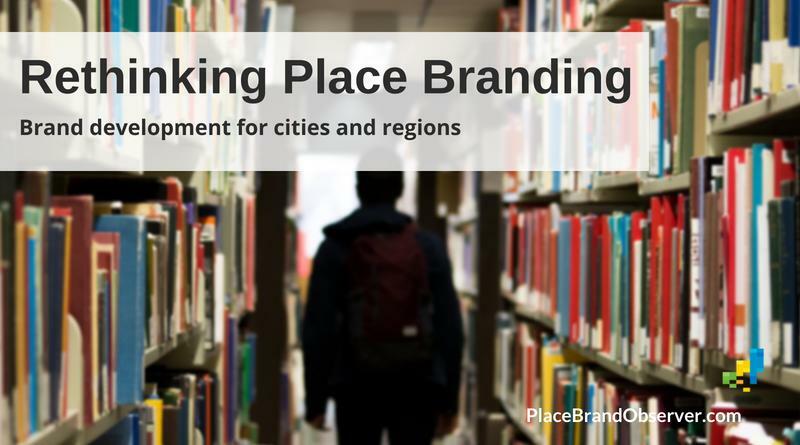 Rethinking Place Branding – Comprehensive Brand Development for Cities and Regions is one of those books that are essential reading for every practitioner, researcher and student involved in the branding of cities, regions, destinations, countries or nations. Together with the Place Marketing Manifesto presented by the Best Place Institute earlier this month, this timely book, with its collection of contributions from experts around the world, shows that place branding as academic discipline and in practice is maturing. As place branding has become a widely established but contested practice, there is a dire need to rethink its theoretical foundations and its contribution to development and to re-assert its future. This important new book advances understanding of place branding through its holistic, critical and evidence-based approach. Contributions by world-leading specialists explore a series of crucially significant issues and demonstrate how place branding will contribute more to cultural, economic and social development in the future. The theoretical analysis and illustrative practical examples in combination with the accessible style make the book an indispensable reading for anyone involved in the field. If you haven’t yet read our interview with Mihalis Kavaratzis, co-editor of this book, together with Gary Warnaby and Gregory Ashworth, below are a few extracts from the interview, on the book Rethinking Place Branding (published by Springer, 2015). Mihalis: The place branding field has reached a stage in its development where it is necessary to undertake a general re-thinking of what it is we are talking about, what it is that places can gain from branding, what it is that we have learned so far and what it is that we need to consider in the future. We felt that it is time to look back at the accumulated knowledge of the last two decades, see how things have changed, and how we need to proceed if we want to further advance the theory and practice of place branding. We also wanted to address the major misunderstanding of a place brand for a logo or slogan, which has plagued the field for too long. Your key insights from the book? Mihalis: The main lesson I have learned from the book is a new understanding of the changing environment in which places are undertaking their branding. The changes have to do with the internet and digital technologies, but also with changes in our appreciation of the relationship between the place brand and the people who matter more for place branding: the place’s residents. I personally find that the book provides very useful insights on both the theoretical basis of a multi-disciplinary and more responsible place branding practice, as well as the practical consideration of the ways in which people use all sorts of technology and ‘know-how’ to participate in the creation of the place brand. All this is coupled with new suggestions on the processes involved in place branding and their effects, which makes – in my mind at least – a very interesting reading. It fills a gap between existing theory and practice and shows a way forward for place branding thinkers and doers. As such, it builds on the place branding principles developed by Robert Govers, Erik van ‘t Klooster and Gerard van Keken. It addresses contemporary issues, especially how place branding can contribute to a more sustainable development of cities, regions and destinations, by taking into account cultural, economic and social needs and responsibilities. You might also be interested in our list of recommended books for place brand professionals.